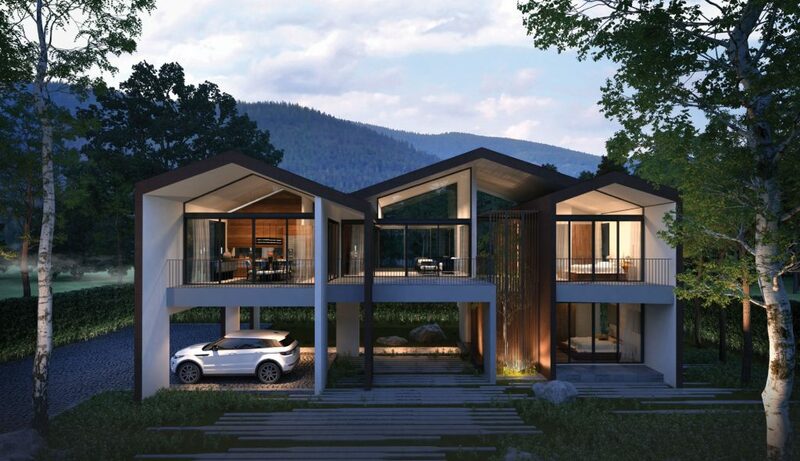 Inspired by the Golden Ratio, divine proportionthe 1.618 Khaoyai Residence, we have created the most beautiful housing architecture that is perfectly blended and and harmonized with the nature. 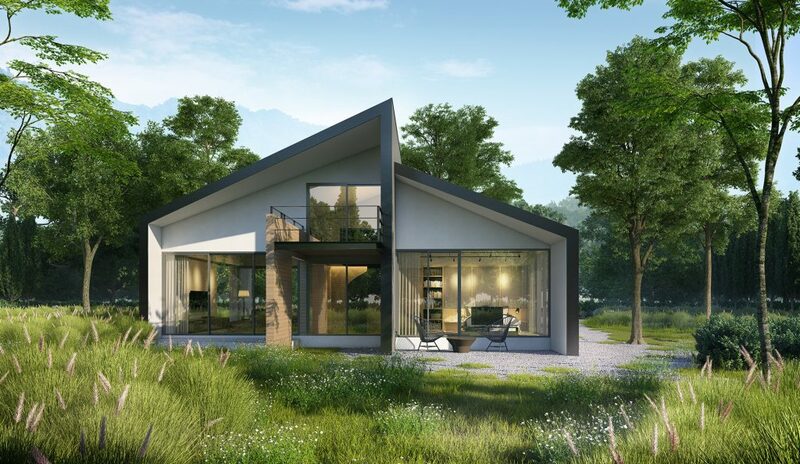 we have created the most beautiful housing architecture that is perfectly blended and harmonized with the nature. 2 Bedrooms | 2 Bathrooms | 196 sq.m. 2 Bedrooms | 3 Bathrooms | 196 sq.m. 3 Bedrooms | 4 Bathrooms | 268 sq.m. 2 Bedrooms | 2 Bathrooms | 219 sq.m. 3 Bedrooms | 3 Bathrooms | 246 sq.m. 3 Bedrooms | 3 Bathrooms | 268 sq.m. 3 Bedrooms | 3 Bathrooms | 305.5 sq.m. 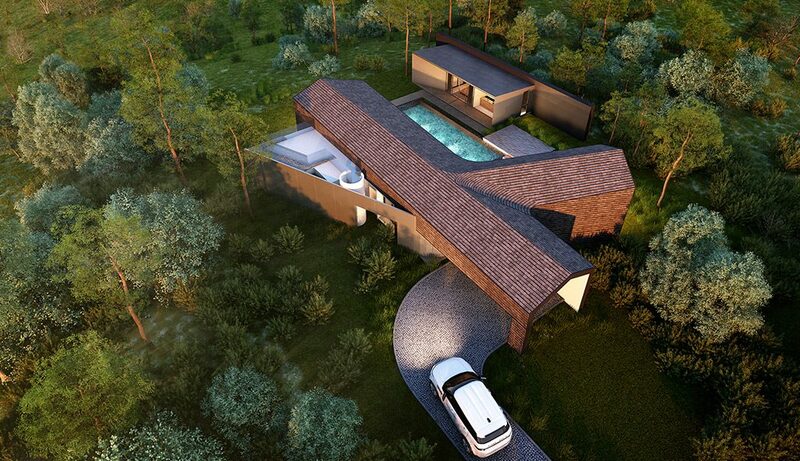 4 Bedrooms | 5 Bathrooms | 529 sq.m. Leonardo Fibonacci, an Italian mathematician, discovered the Golden Ratio 1.618 in the spiral patterns abound in nature. Such spirals can be seen in the sunflower pollen, pinecones and shells. The inner diameter of shell spiral when compared with its next ring is all found increased by a factor of the golden number, or equal to 1.618. As to these amazing discoveries, several technocrats and specialists in the field of arts and architecture have explored and applied the golden ratio in their artistic and architectural work. Leonardo da Vinci’s masterpiece marvel “Mona Lisa” is also said to have her face drawn with divine proportion. The famous Greek temple Parthenon architecture is again found to have the golden ratio applied in its design. Even for the contemporary logo design like logo of Apple company, by which the golden ratio was also been used and thus its logo had been admired and perceived as one of the most powerful one. These have made the golden ratio become the most favored choice until today. Ever since the golden ratio had been applied in creating architecture and arts, no one could deny that 1.618 is the most beautiful and perfect ratio number that men ever used. 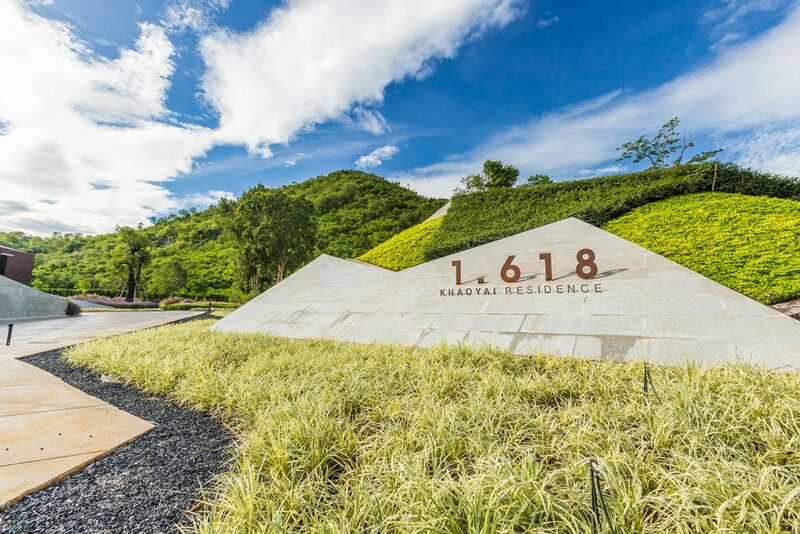 Inspired by the Golden Ratio, divine proportion, the 1.618 Khaoyai Residence, we have created the most beautiful housing architecture that is perfectly blended and harmonized with the nature. 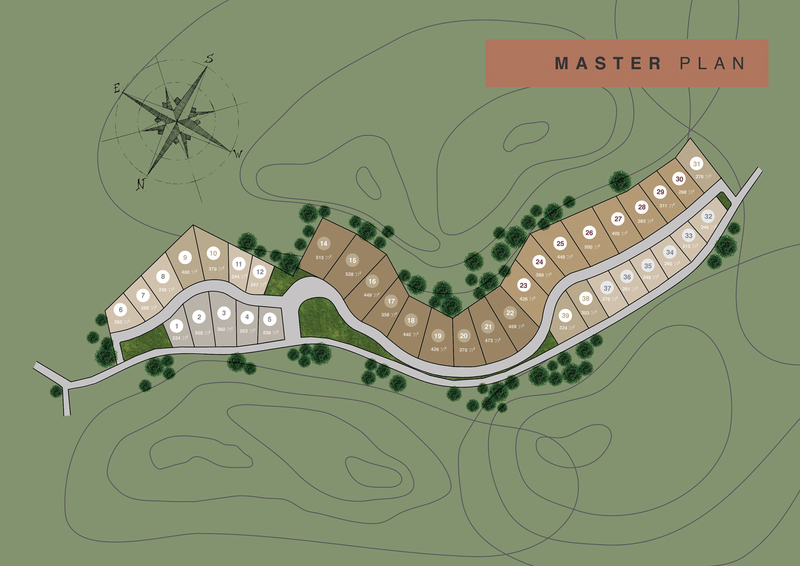 The project covers an area of over 42 rai, at 430 meters above sea level. Although the land is surrounded by close and faraway mountains, however, with a mountain pass, it creates a natural wind tunnel that everyone would enjoy wonderful breeze all year round. 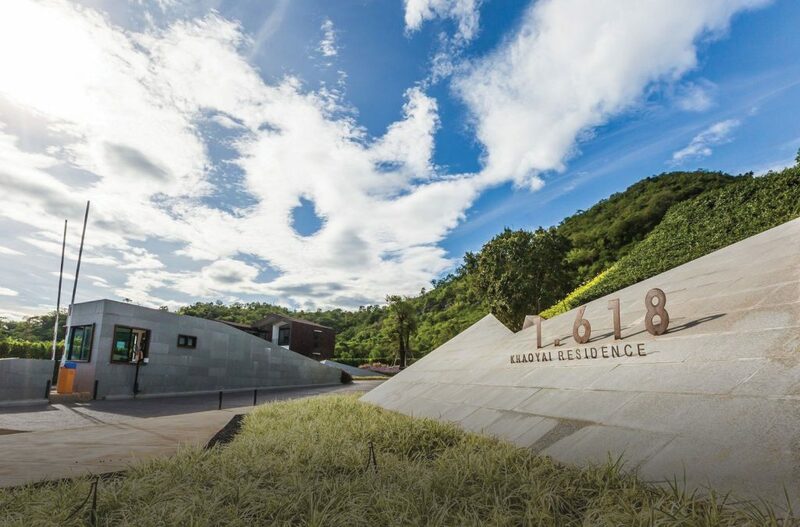 There is nothing better than enjoying the cool fresh breeze, mountainous scenery and wildflower fragrances. The bliss of life here helps create ease and balance in your body, mind and spirit. 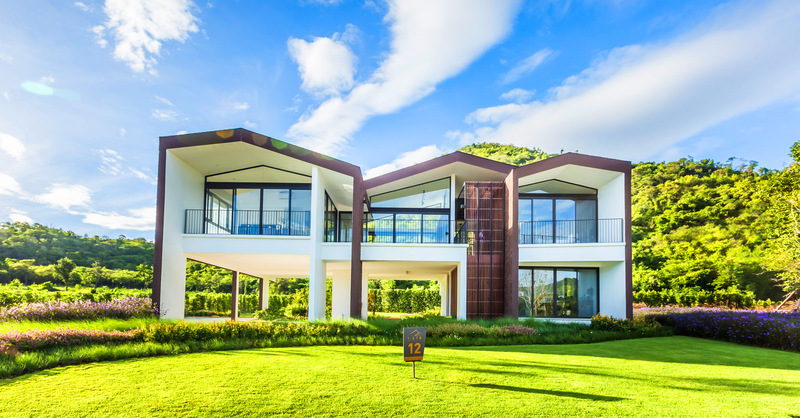 With fantastic location, a number of tourist attractions and restaurants can be reached within 5 kilometers along Thanarat road, our residence becomes an ideal place combining natural landscape and convenient facilities. 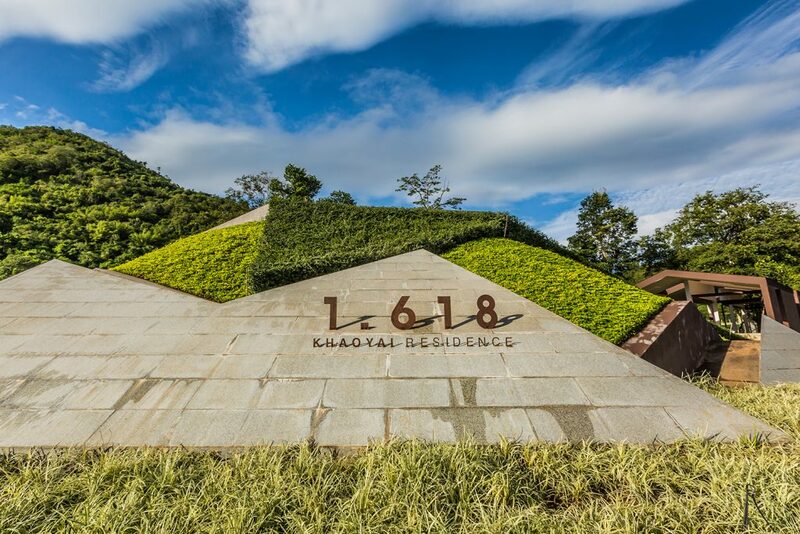 Welcome to 1.618 Khaoyai Residence, where the Golden Ratio is found in its architectural design to achieve a sense of balance between nature and living. Here everyone lives in harmony with nature. Without change, wild trees still exist where they grown up. 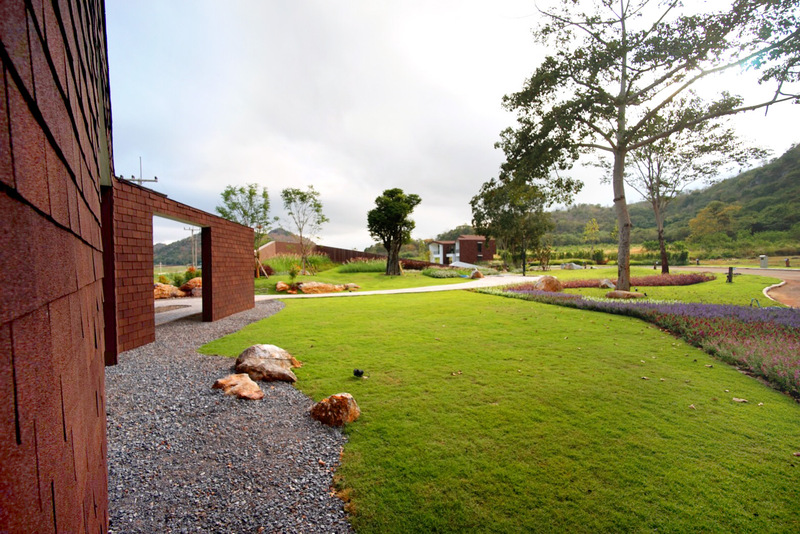 Among these natural big trees, clubhouse and public garden are created in a perfect harmony. 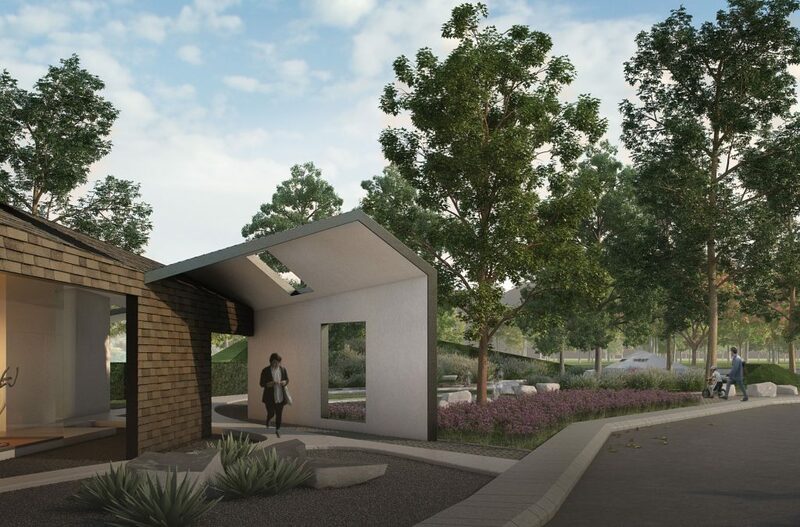 The clubhouse sheltered by gable roof is very unique and well-designed where the indoor garden and fitness room are nicely put together. In the midst of green area, it is where you can enjoy natural plants whilst sipping coffee or peacefully reading your favorite book. Timber log and rock are intentionally cut and shaped into a modern style seats for you to lay back and relax in our colorful garden. 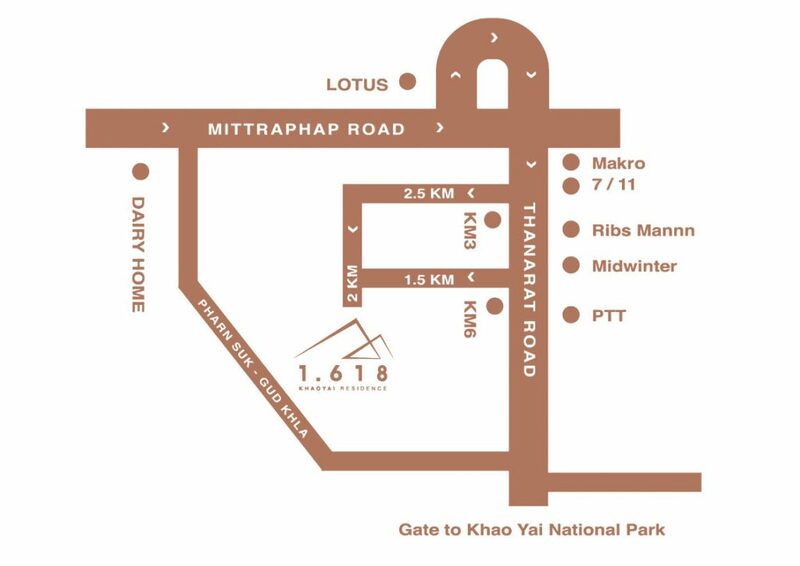 We certainly welcome you and your family to visit and live with us at 1.618 Khaoyai Residence. 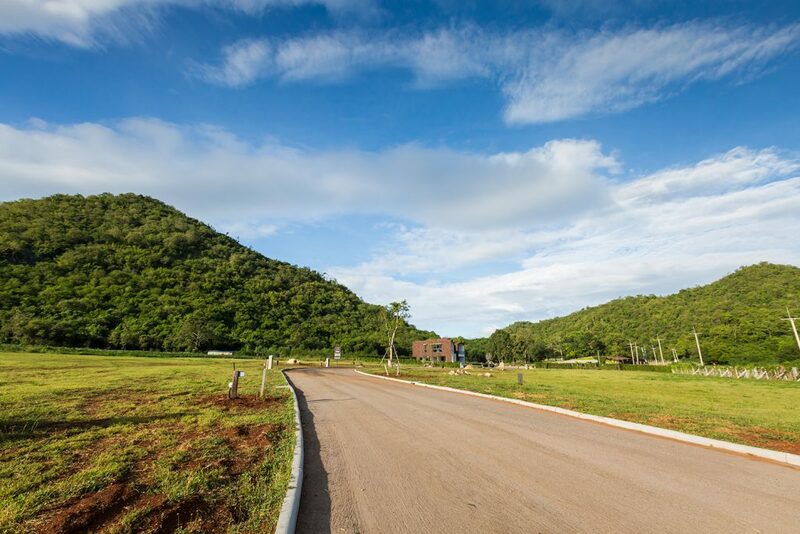 With real experience in living in this area for several years, we certainly understand how to develop a housing project that residents shall be pleasantly living in harmony with nature and staying comfortably in all seasons. The 1.618 Project is ready for customer visit. Veranda House is our proud and successful. enjoy wonderful breeze all year round. 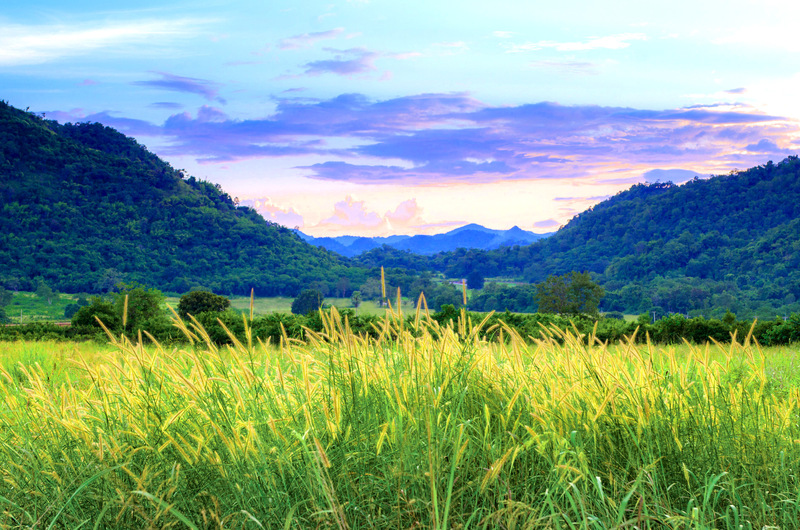 mountainous scenery and wildflower fragrances. The bliss of life here helps create ease and balance in your body, mind and spirit. 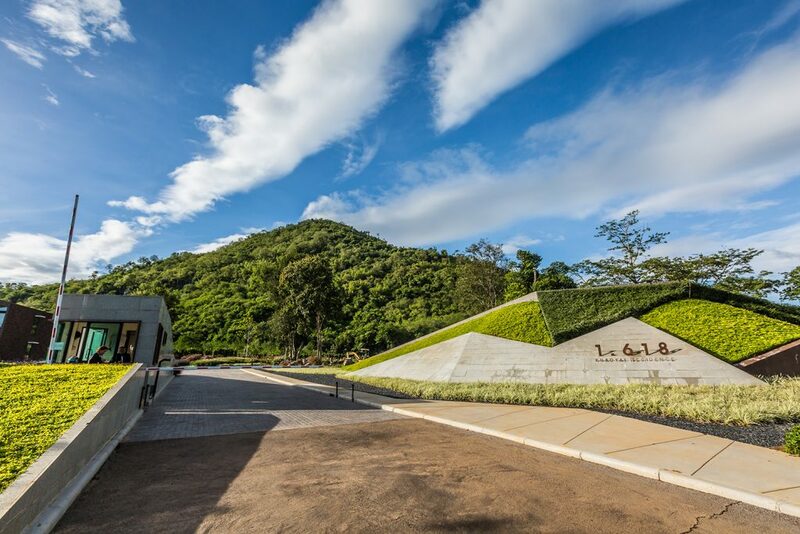 natural landscape and convenient facilities. 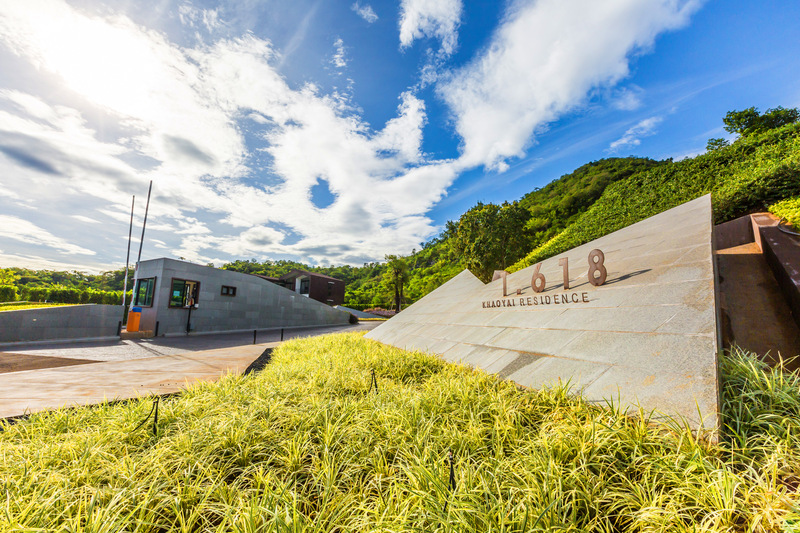 The project covers an area of over 42 rai, at 430 meters above sea level. Although the land is surrounded by close and faraway mountains, however, with a mountain pass, it creates a natural wind tunnel that everyone would enjoy wonderful breeze all year round. 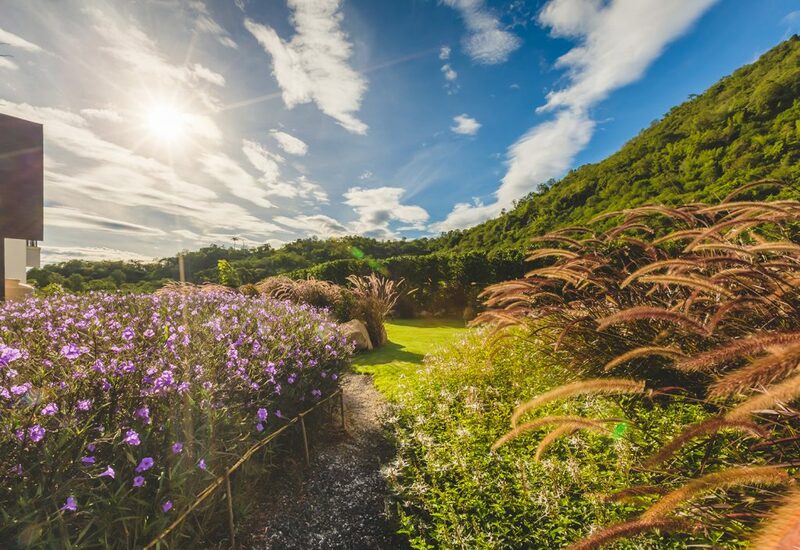 There is nothing better than enjoying the cool fresh breeze, mountainous scenery and wildflower fragrances. The bliss of life here helps create ease and balance in your body, mind and spirit. 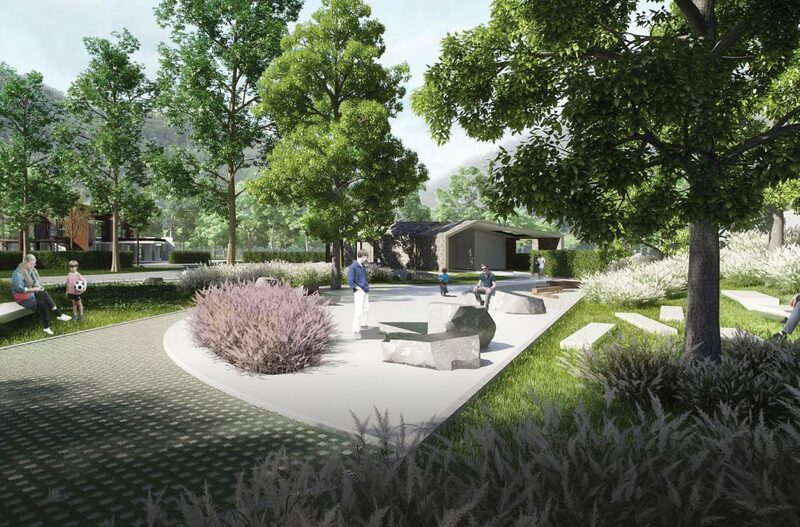 With fantastic location, a number of tourist attractions and restaurants can be reached within 5 kilometers along Thanarat road, our residence becomes an ideal place combining natural landscape and convenient facilities. The land is free from any encumbrances. It is awaiting change to be Chanote title, and is ready for ownership transfer. 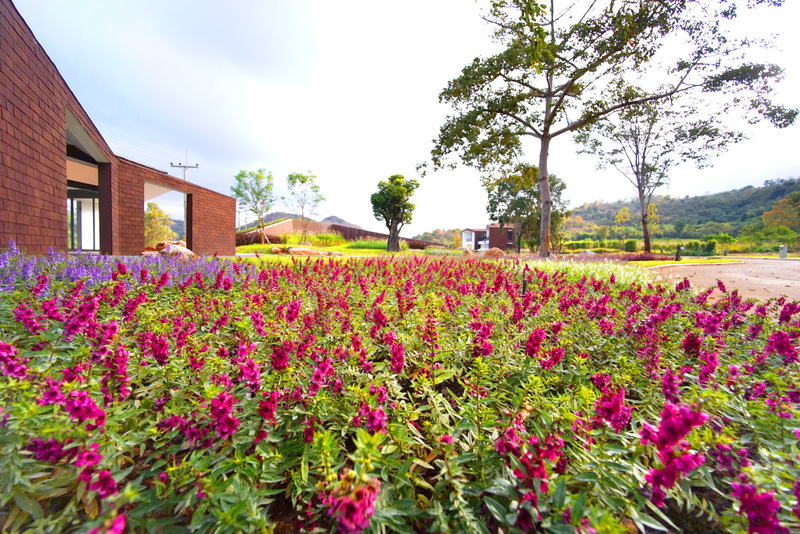 On the date of ownership transfer, the buyers are required to pay a 2-year upfront monthly fee of 20 baht per square wah for the expense of public facilities maintenance. 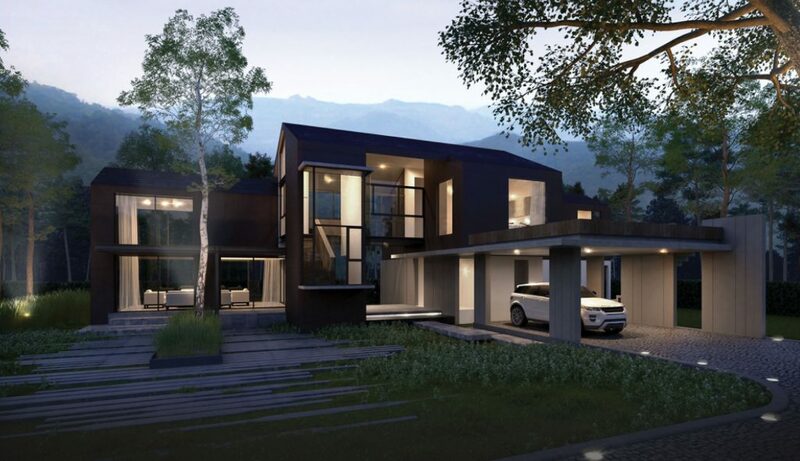 The pictures, images and visual presentations appeared on the website include real pictures from real locations, imitated visual in real location and imitated visual in conceptual rendering pictures. The company reserves its right to make any detailed changes without prior notice. 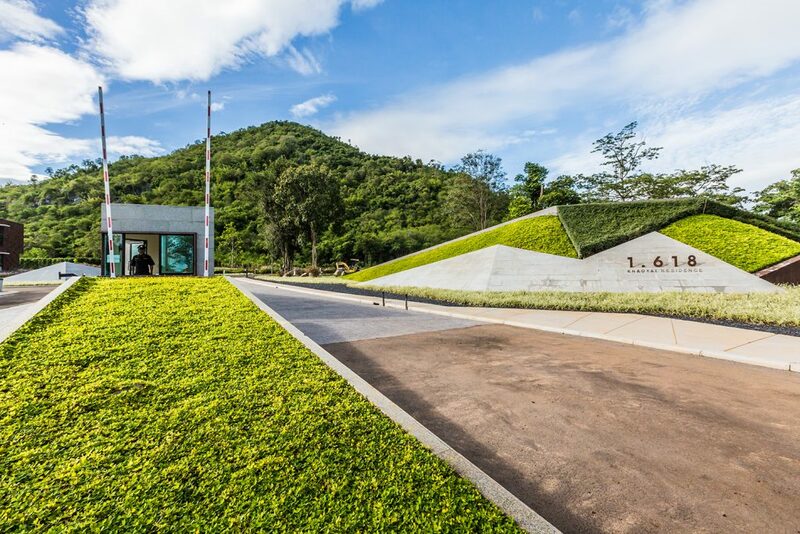 Copyright © 2014 1.618 Khaoyai., Inc. 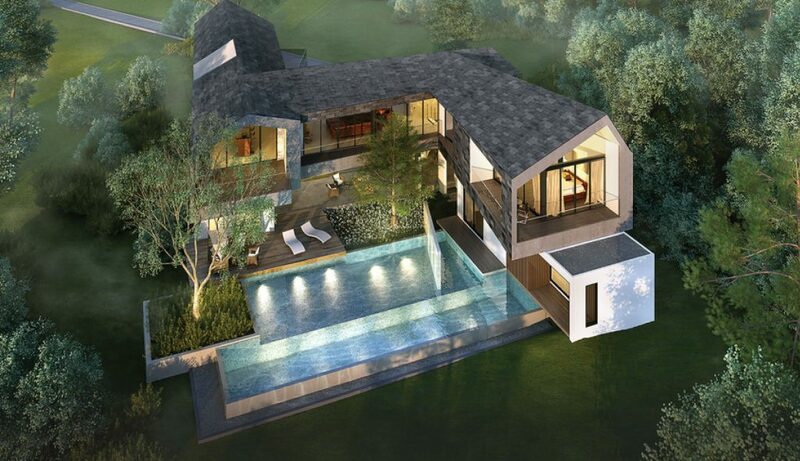 This modern glass house is far developed from a traditional wooden Thai house with high open space under the house. The house reflects nature’s Golden Ratio in its proportions. Either on rainy or sunny days, you can enjoy the beauty that nature provides. 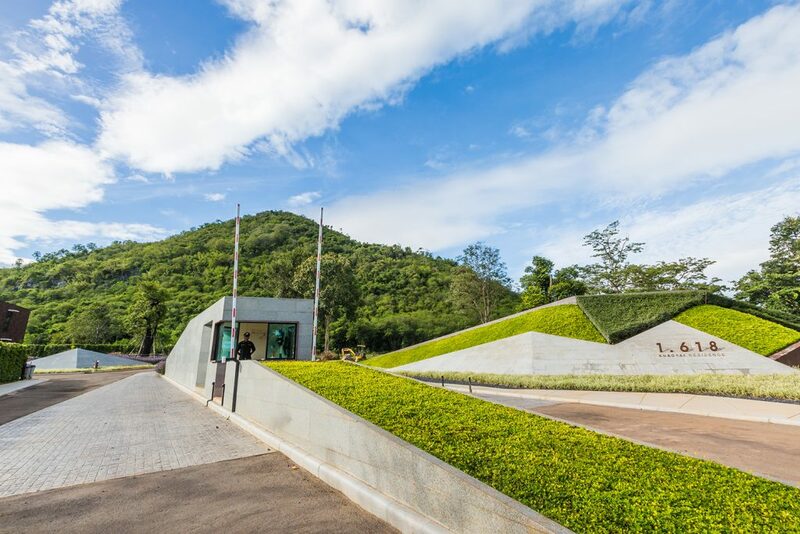 Topping the house is a gabled roof that is, blending harmoniously into the magnificent mountains background, designed to carry heavy rainwater in the rainy season. Rooms are connected by a terrace that can be accessed by family members for family gathering. 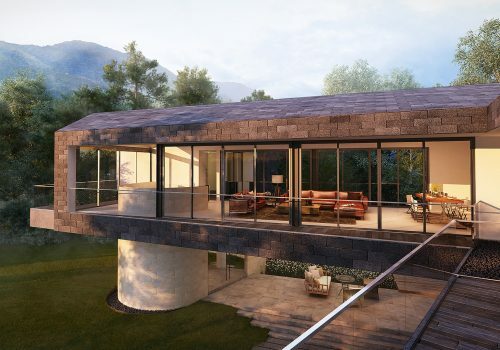 A large glass window offers us the amazing view of mountains while transparent roofs give protection from rain but provide a clear view to the sky. You can live in the Veranda House with all of the functions on the second floor. Privacy and panoramic views are yours. 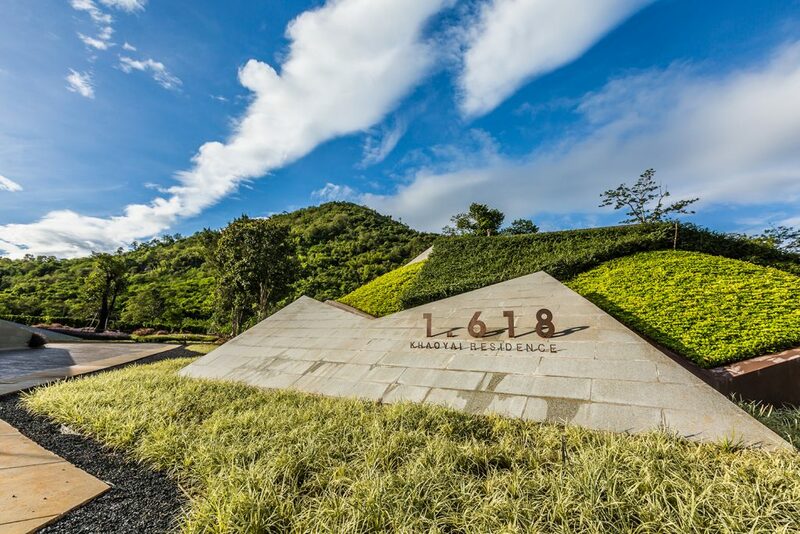 Inspired by the Golden Ratio, divine proportionthe 1.618 Khaoyai Residence, we have ccreated the most beautiful housing architecture that is perfectly blended and and harmonized with the nature. A 360-degree panoramic view can be seen from the sitting room and dining room, no matter whether it rains or the sun shines. You can have your privacy in the bedroom surrounded by the mountains in the background. 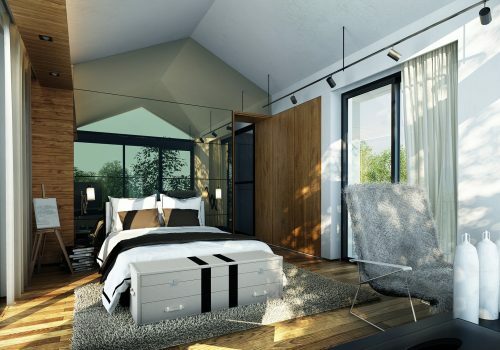 Two towers are connected with a glass-walled and wood-floored steel bridge to make it look very much like a mountain view room. 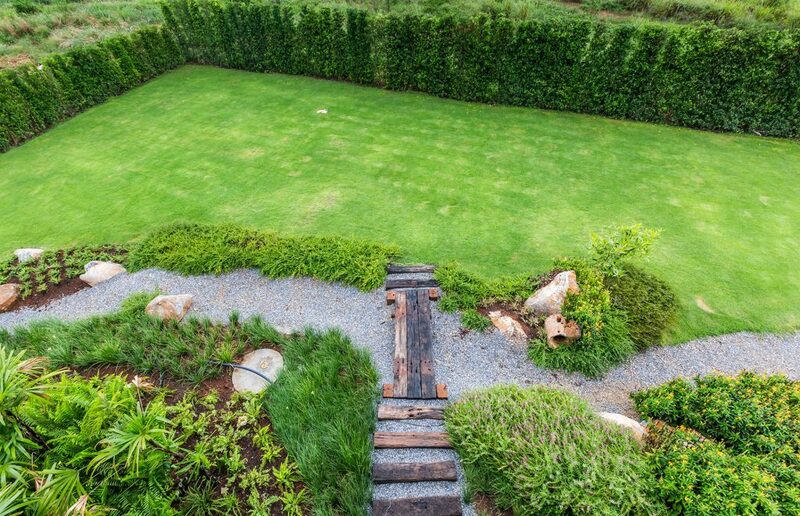 A garden in the middle of the house helps warm up the house while the swimming pool is available for family members and neighbors. 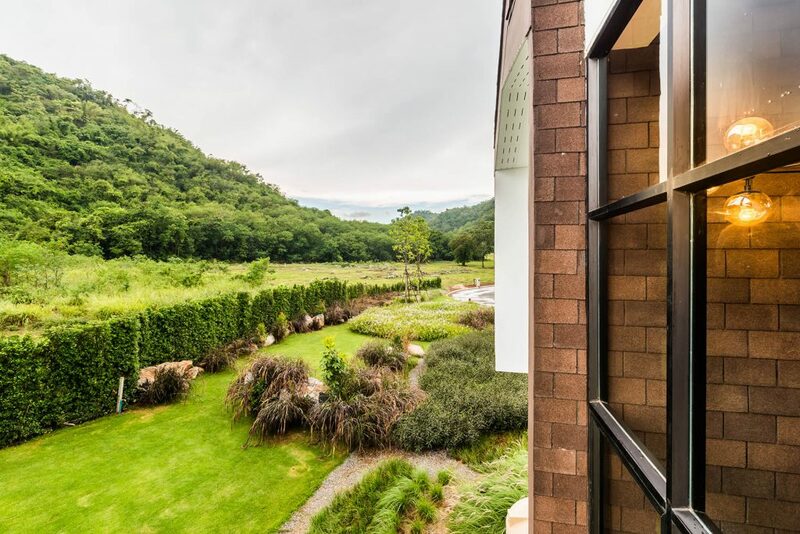 Our Vista House is looking forward to welcome anyone seeking a perfect place for both relaxation and privacy. No matter who you are, young or adults who love or seek for pleasure or peacefulness, Vogue is unlike those vacation homes as it could serve all your desires. 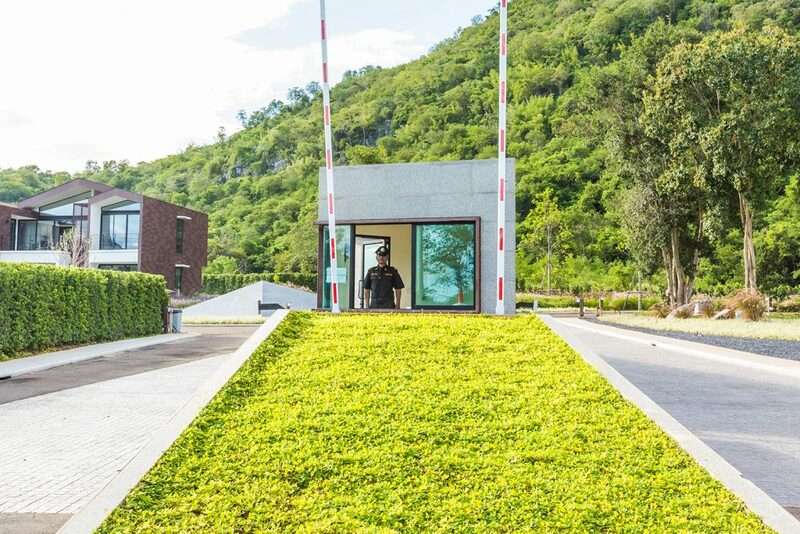 Vogue has been perfectly and magnificently designed with two bed rooms on the second floor, and another two bed rooms on the ground floor that locate besides a luxurious swimming pool which surrounded by natural mountainous view. Whether to get together by the side of the swimming pool, or to peacefully relax in the living room on the second floor, with an area of over 500 sq.m., you will find that Vogue could gorgeously and comfortably serve all your appetence. Proudly powered by the Web 108.